Media literacy education is extremely important and is addressed in the common core language program. Media literacy is teaching students to analyze and evaluate informational and nonfiction texts which is part of what is often referred to as the information overload. Students should look critically at the media and analyze its effectiveness, who it targets, is it credible to name a few. 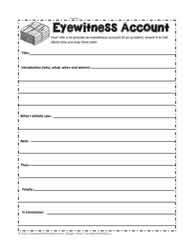 These worksheets help support analyzing and creating ads and much more.